Favorite things: Training, Completing missions, BBQ, and protecting her village. Dislikes: Attacks on Konoha, enemies of Konoha, feeling weak, outright people, people that insult her. Weapons/special items: Shuriken, Kunai, and Ninjutsu. Description: A jutsu that creates an illusionary clone of the user, in numbers of 1 or more. The Clone disappears after being struck with an attack, and can deal no damage. This jutsu is one of the basics, and required to pass the Shinobi Academy. Description: The user hides beneath the ground, and reaches up to grab their opponent. The opponent is then pulled under the ground, up to their chin, allowing the head to be subject to move powerful jutsu. Description: An illusionary jutsu that gives the user the appearance of another person or object. A commonly used skill. Description: A technique which places a second shuriken in the shadow of a first (thrown) shuriken, confusing the enemy. Description: This jutsu traps the victims inside a self-repairing dome of earth which is almost instantaneously able to reform. This technique can also allow the user to steal chakra from those trapped within. Description: This jutsu causes gigantic pillars of rock to forcefully emerge from the ground, causing shockwaves in the process that flatten the ground around them and cause devastating damage to the enemy. Because it goes in all directions and causes such large shockwaves, this jutsu is perfect against a large number of foes, though there is the possibility of hurting one's own allies. Name: Earth Release: Earth Flow Divide. Description: By flowing one's chakra into the energy flowing underground, one can tear the earth apart, creating large chasms. The length, width, direction, and curve of the chasm are all up to the user. Manipulating the Dragon Veins requires fine chakra control, but if one has such skill, they can use this technique to divide the space between the enemy and their own team in two, destroy enemy camps or defenses, and even to attack. Name: Earth Release: Earth Spear. Description: The user flows chakra through all parts of their body, which hardens their skin to a steel-like quality. This increases their defensive power to the utmost limits. The user's skin becomes much darker, an almost black color. Furthermore, the destructive power of physical attacks is increased, making this a great all-purpose technique. Name: Nawanuke no Jutsu, literally "Rope Escape Technique"
Personality: Keiko is a shy, and timid individual. She rarely is outspoken, and will keep to herself as much as she can. 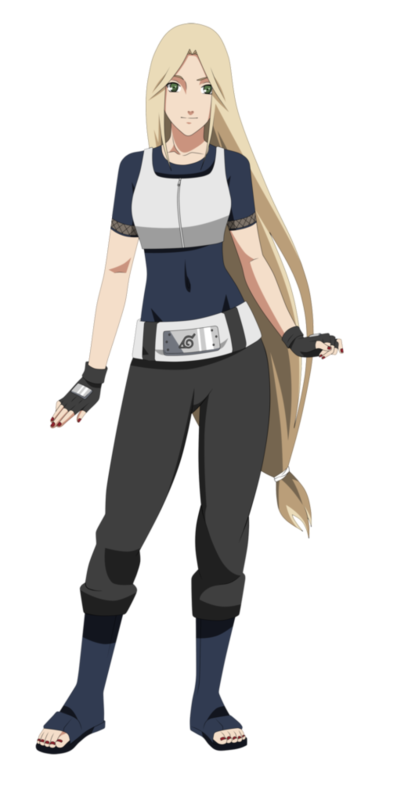 She spends a majority of her time training, and doesn't seem quite confident enough to pursue attempting to make a chunin rank. Her confidence is easily shattered, and she is often, when not training, found at the BBQ stand. History: Keiko was born to two nin of Konoha village, and she was raised in a loving and caring family. However, her self confidence was shattered from a young age, and she was always prey for pranks and mean jokes of the other children. When she entered the Academy, it was no different. Keiko was easy prey, and she was quick to reclude into herself, in a manner of speaking, so that the words didn't hurt as much. Even as she got older, and watched the others from the Academy take on different Ranks, Keiko never felt strong enough to actually attempt the chunin challenge, and thus has remained a quiet, shy genin. She often hides behind her long hair, and will stick to areas that she knows are not highly populated. It should be noted that Keiko is now deceased, killed at the hands of Rin.